A female swimmer glides through the water. This upcoming weekend will be a nerve-racking one of high stakes for UChicago’s diving team. On Friday, three of the five members of the team will travel to Grand Rapids to participate in the NCAA Diving Regional. While there, they will face off against competitors from over 20 different schools in the DIII Central Region. The diving squad already has an impressive season under its belt, with some of its most notable performances coming from the UAA Swimming and Diving Championships two weeks ago. The three divers competing this weekend—Agnes Lo, Anna Girlich, and Natalie DeMuro—each finished in the top eight in both the one-meter and three-meter dives. These successes contributed to the women’s overall third place finish at the end of the meet. While conference was indeed an important meet for the Maroons, the upcoming regional meet is equally important, if not more so. “This meet is what we have been working for all year,” said second-year Anna Girlich, who earned second place in the 3m dive and third place in the 1m dive during conference. As Girlich said, part of what makes this upcoming meet so important is that it is the divers’ only chance to qualify for the NCAA National Championships in March. While swimmers’ times throughout the entirety of the season are eligible to qualify for the meet, the only scores that will count for the divers will be those that they obtain this weekend. When national selections are made, only a certain number of divers from each region will be taken. The central region has nine spots allocated for men and five spots allocated for women. 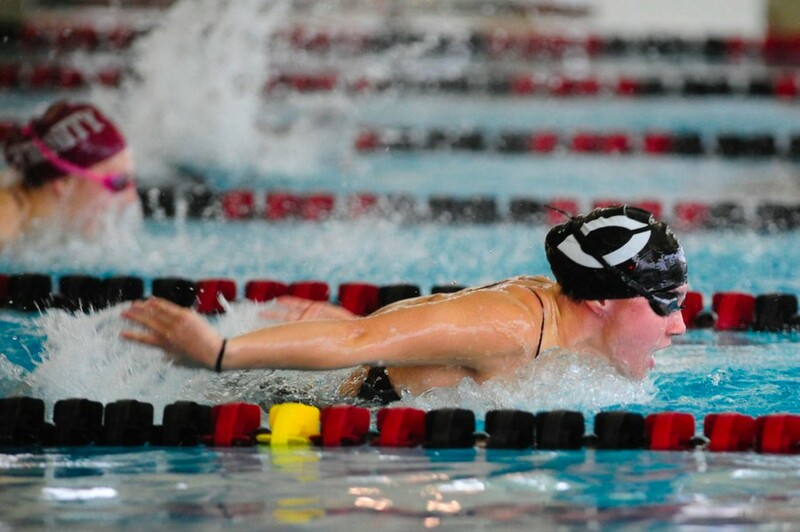 Perhaps the Maroons’ best chance of sending a diver to Nationals this year is first-year Lo. At Conference, Lo won both the three-meter and one-meter dives, setting school records in both and the UAA record in the latter. “I’m excited for regionals especially since this is my first year in college diving and it would be an amazing opportunity to qualify for NCAAs,” Lo said regarding the meet. “I’ve trained hard all season and I want this year to end on a strong note. I'm not focusing on the results though, I’m just concentrating on competing at my best at the meet and having a good time,” she concluded. The Diving Regional will take place this Friday and Saturday, February 24 and 25 at the Venema Aquatic Center at Calvin College. Sessions will begin at 2 p.m. and 5:30 p.m. on Friday and at noon and 3:30 p.m. on Saturday.